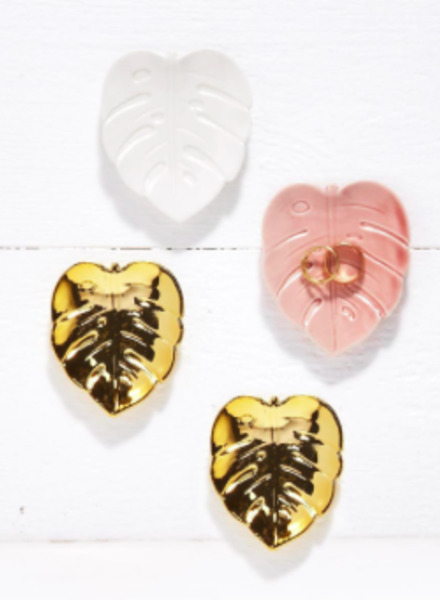 Set of 2 ceramic monstera leaf trinket trays. 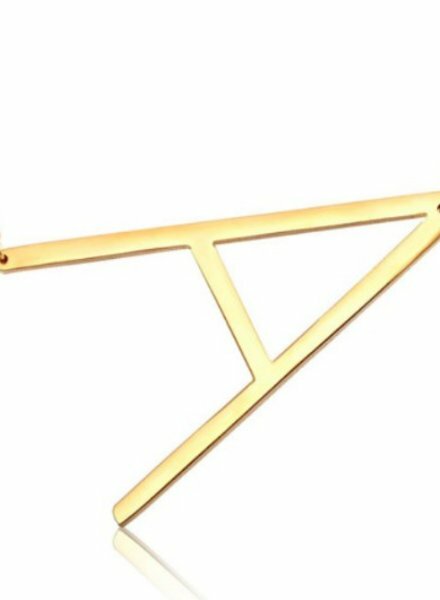 Available in 2 colorations: white/metallic gold and pink/metallic gold. 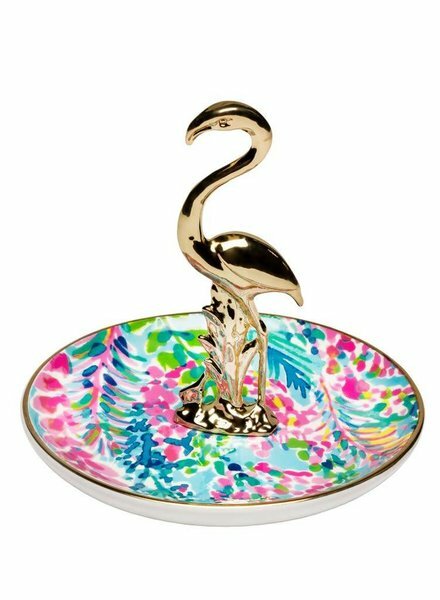 Perfect for holding jewelry or little treasures while adding a hint of the tropics to your home. 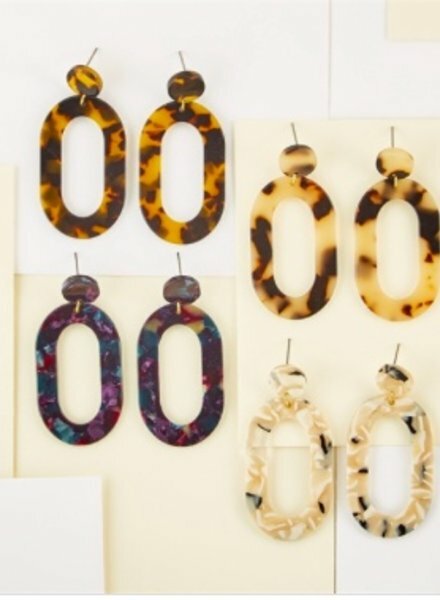 Make a statement with these printed oval hoop earrings. 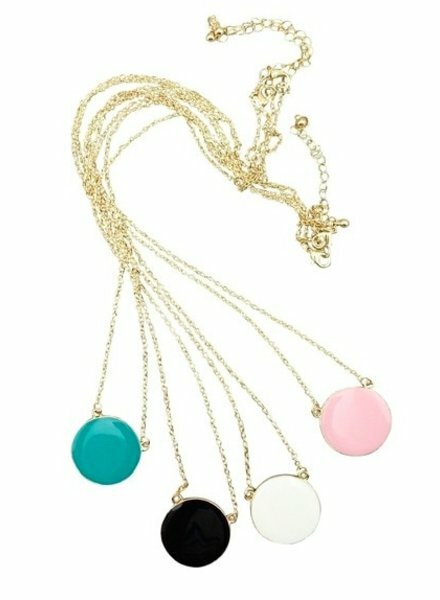 Available in 4 colors, arrive on gift card ready for giving. 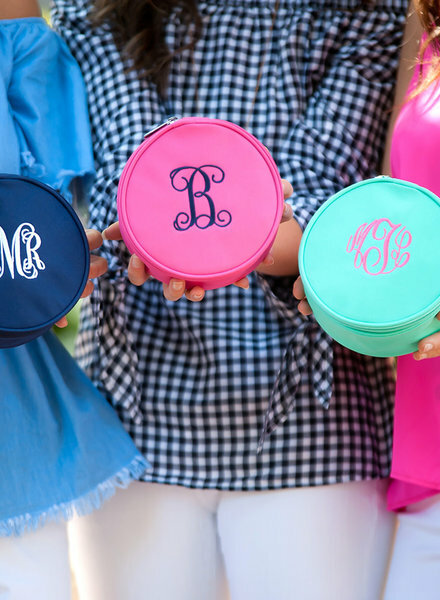 Choose from blush, turquoise, black, white or tortoise pendant and add your monogram! 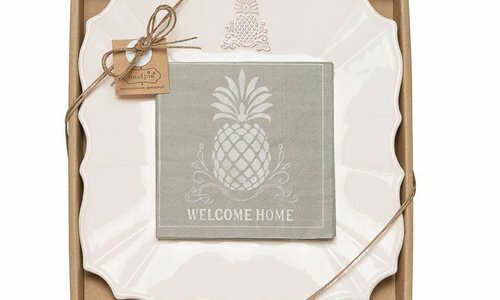 We recommend natural circle font with gold lettering. A mermaid inspired accessory. Plated “Mermaid Wishes” and dangling mermaid with leather and silk cord detail, silver plated magnetic closure. 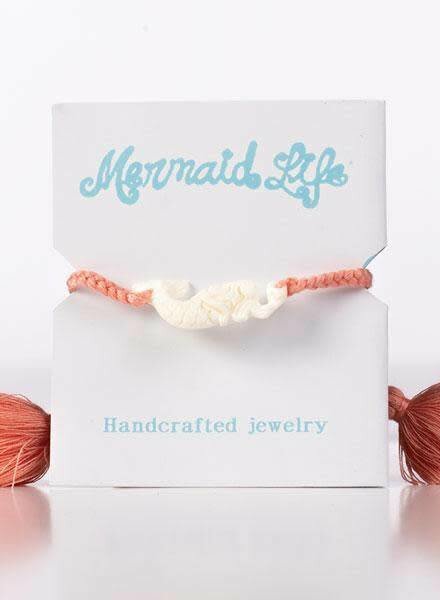 Arrives in a complimentary Mermaid Life jute gift pouch. 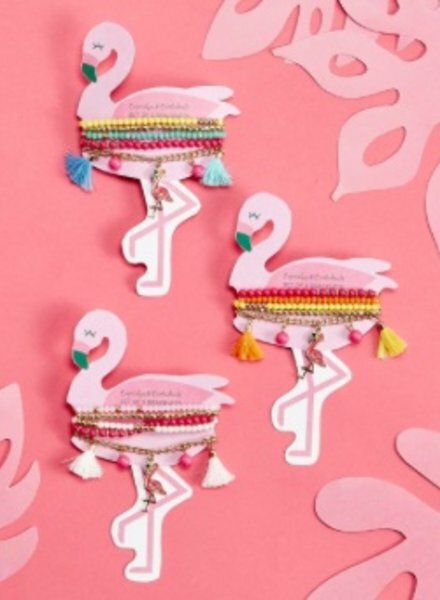 Fun & bright statement earrings! 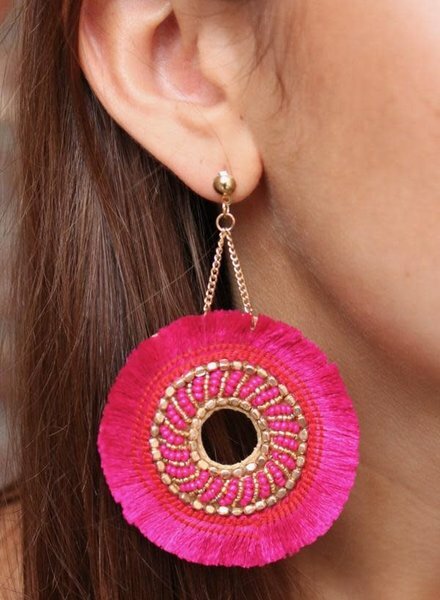 A soft thread open circle has gold beads around the center with a hot pink soft thread fan dangling from two stands of gold chain. 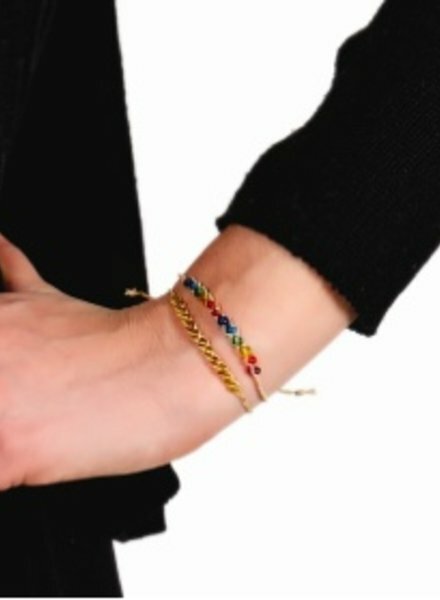 Dude's wrists need love too! 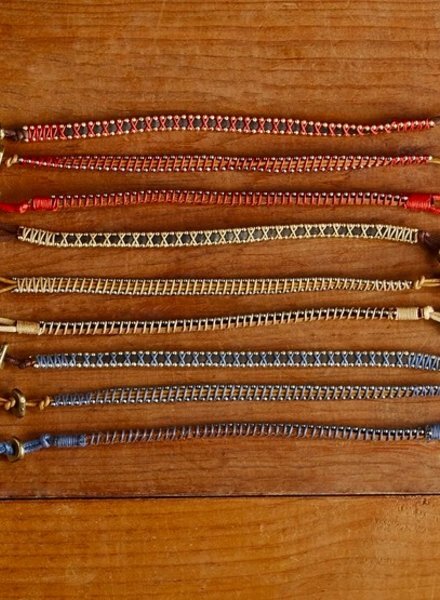 Wrist twist genuine leather bracelet available in red, blue and brown. 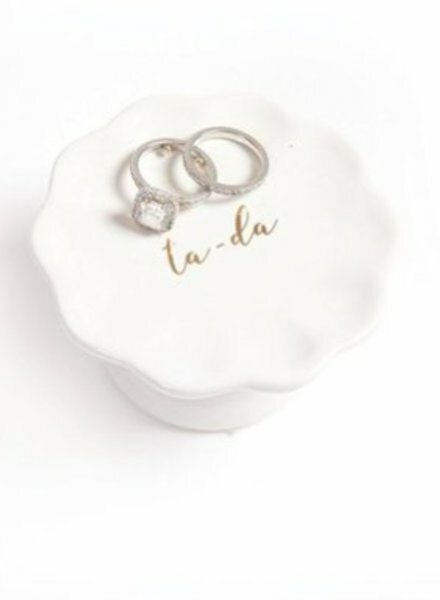 Keep your tiny trinkets secure inside this darling dish with matching lid. Featured in Catch the Wave print. 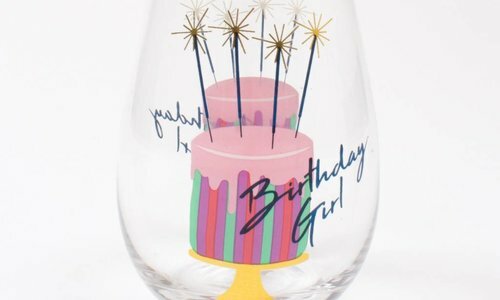 Vinyl personalization on top lid included. 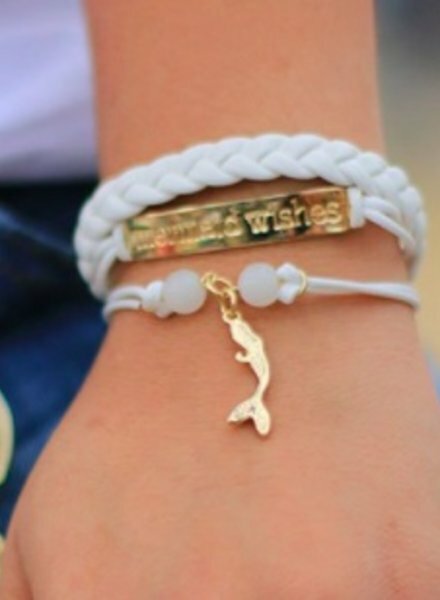 Make a wish bracelet arrives on gift card ready for gifting. Tie it on and when it falls off your wish comes trie. 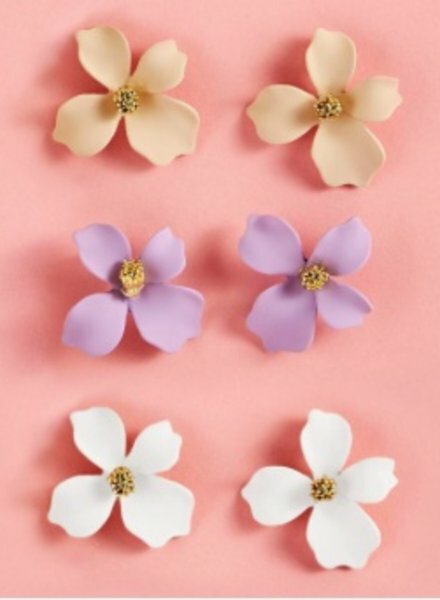 One of twelve wish sentiments will be sent at random based on availability. 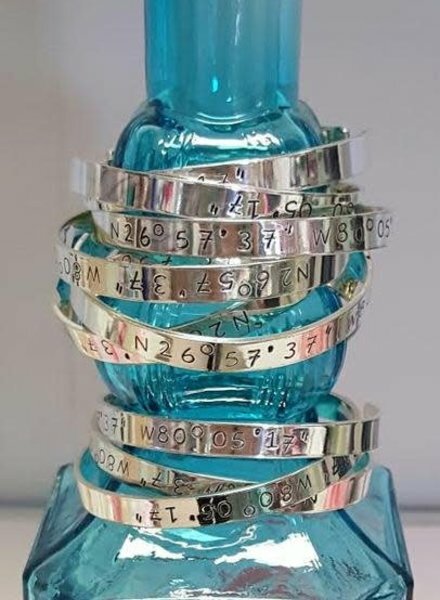 Hand-stamped sterling silver cuff bracelet features the attitude & longitude coordinates of the historic Jupiter Lighthouse. 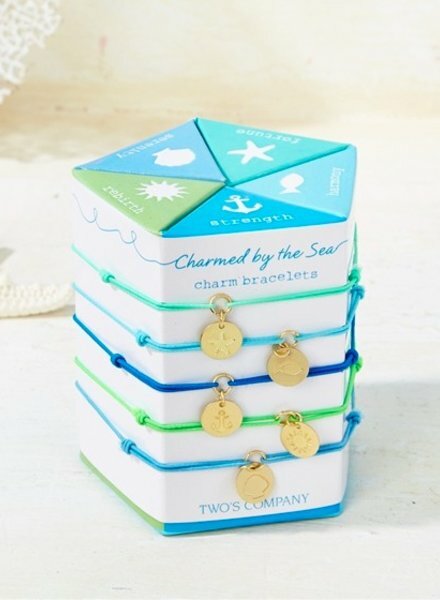 Charmed By The Sea set of 5 elastic bracelets with gold charm on gift packaging includes: starfish, fish, anchor, sun, and shell. 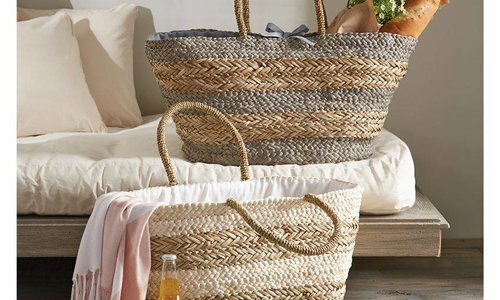 Handmade in Bali of natural materials. 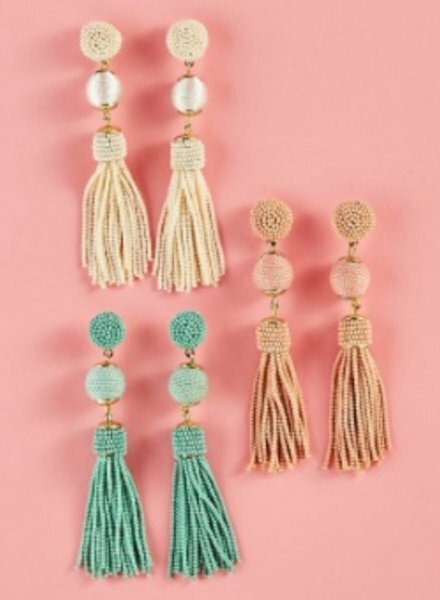 Hand carved design attached to a hand braided cord, tassel or button enclosure details. Arrives on gift card ready for gifting. 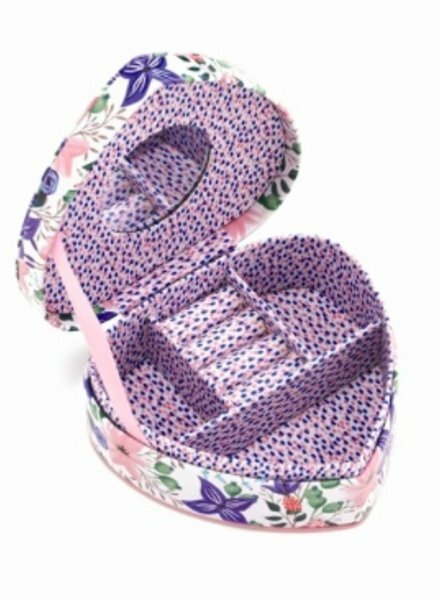 Heart-shaped floral print jewelry box with mirror and ring holder section Arrives in gift box ready for giving. 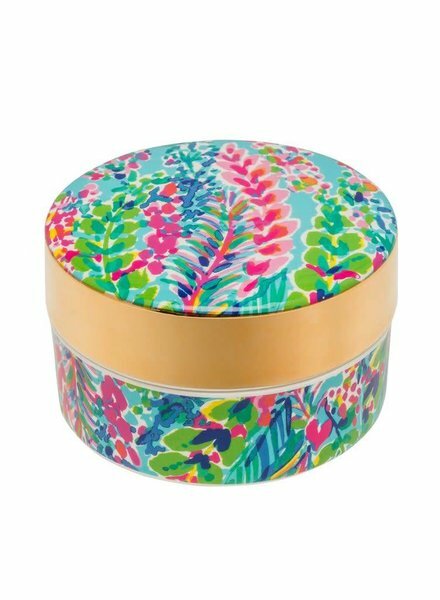 Add a name or monogram to the top lid.